Welcome to Twice Upon A Time in Brattleboro Vermont! Our quirky family has owned and operated Twice since 1986 and we love and appreciate our Awesome town and our amazing and gorgeous state of Vermont! Growing up here, we live and breathe the term Vermont Strong and Twice Upon A Time is no exception. We started small and have grown exponentially throughout the years. We started out with a few hundred square feet consigning children’s clothing in 1987. We have moved 4 times including our renovations and expansions. We have lived in a renovated 1906 department store on historic Main St with 3 floors and 10,000 square feet since 1996. 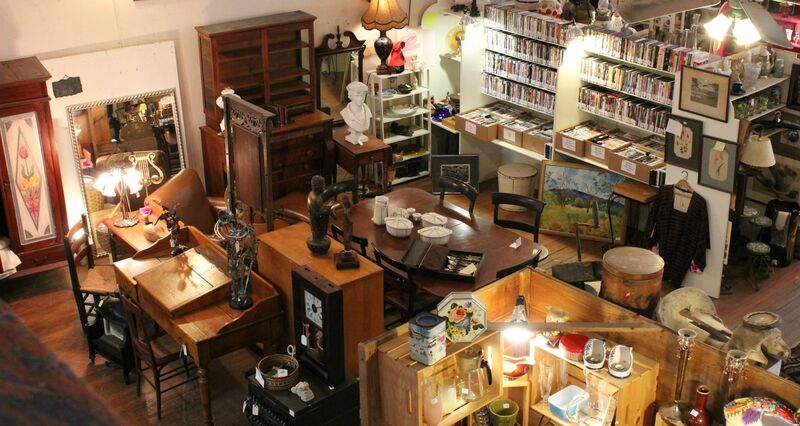 We have over 100 Vendors and over 4,000 Consignors that make our shop the most eclectic in the area. Bring your whole family and you will find that there is a little something for everyone! Twice Upon A Time on Main St in Brattleboro, VT is looking for a part time and full time employee for the spring season! This job is many faceted and takes the right individual to be a part of our family. Twice Upon a Time is an antiques, collectibles, furniture, and dealer co-operative store with a large local vendor and consignor base. We are a family business, owned and operated as such for 32 years and always have a small close knit team. We have 10,000 sq ft of space to secure, display, clean, and organize so we are never bored! Applicants must have wonderful customer service skills, be able to interact with vendors and consignors, able to enforce our rules, multitask, learn quickly, responsible, respectful, polite, must be able to learn our point of sale system, self motivated and lift 100lbs. We need to be able to help vendors bring in furniture as well as be able to help customers who purchase large items put them in their vehicles. Timeliness is also incredibly important as we need employees to often open by themselves and therefore lateness is not an option. We do a lot of merchandising and decorating so if that is your thing you may love this as an artistic outlet! Applicants can email their resumes to cindi@chasewebinnovations.com and she will follow up to schedule your first interview. Thank you and take care of yourself and each other! We Are Now Taking in Spring and Summer Merchandise! We are actively now taking in items for Spring and Summer on consignment from our local area! We do offer some local pickups as well as deliveries to help gather these consignment items so do not fear! This category includes items that are in good working condition and are stable and reliable to use immediately without refinishing or work to be done. We are looking for outside furniture such as patio furniture, wicker furniture, pots and planters, outside pedestals, outdoor fountains, statues for the garden, porch furniture, etc. We are a 10,000 square foot Antique, collectibles, furniture, vintage clothing, and home decor store with thousands of one of a kind items to peruse and changing everyday. We have a little something for everyone. We all move, change, inherit, or buy items that lose their usefulness before they have lost their value. Style’s change and so we must make room for new things. We offer consignment as a way to get the best value for your items so you can focus on what matters in your life. We rent vendor booths and floor space in our shop. We welcome local trade’s people, craftsmen, antique enthusiasts, and artists. Give us a call for space availability, pricing, and terms. We would love to meet you and go over everything! Are you selling your home or that of a loved one? Are you overwhelmed with all it takes to clean out and clean up? We no longer offer these services but we do work with another company. Click below for more info. We try to update this regularly but please like and follow us on Instagram and Facebook! This Yukon Trail Electric Trike is originally $1500 new and it was working well when it arrived but since the battery has died. We are selling this bad boy for only $500 cash or check only! Call 802-254-2261 for more information or to hold it! We are a co-op shop with over 4,000 consignors, dealers and vendors from our local area! 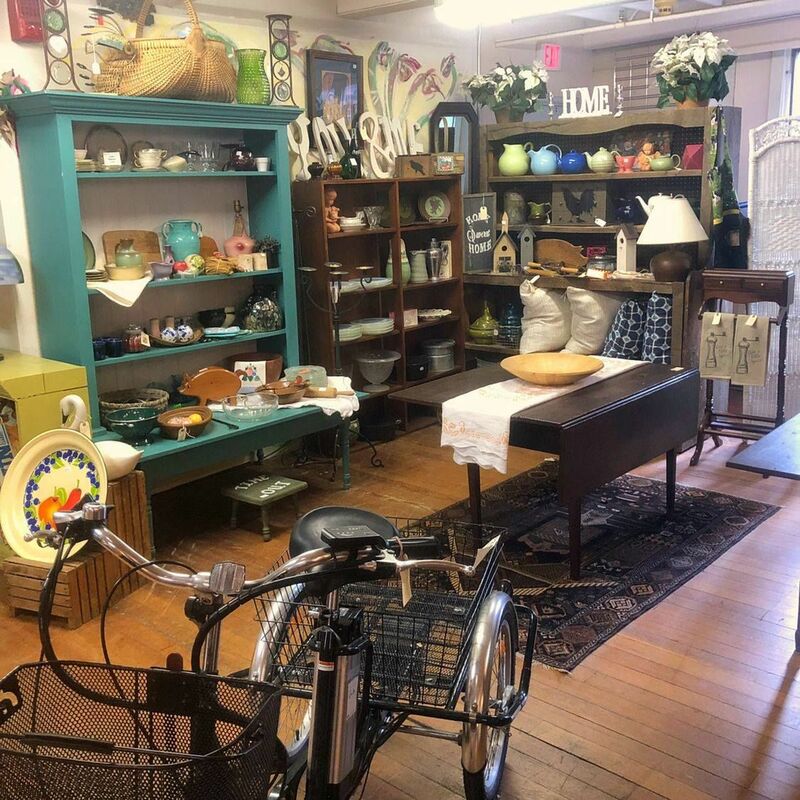 We carry furniture, home decor, art, antiques, vintage and modern clothing, purses and accessories, Records, Woodworking Tools, collectibles, household goods, and Vermont Made Products from local artists! As we all move through this crazy and wonderful life changes abound. We all move, change, inherit, or buy items that lose their usefulness before they have lost their value. Style’s change and so we must make room for new things. We offer consignment as a way to get the best value for your items so you can focus on what matters in your life. We help you price your items to the market, display them well, mark them down if needed, and sell them to your local community with mutual respect and professionalism. 2017 Twice Upon A Time All rights reserved.